drooz doodles: new digs for drooz (shelly & family too)!!! new digs for drooz (shelly & family too)!!! many of you have been asking. YES. the studio is for sale. YES. 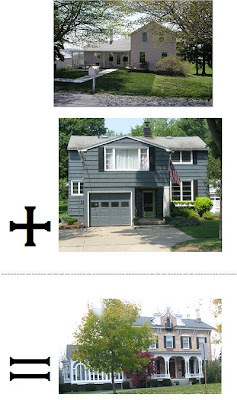 my house is for sale. guess it is time to set the record straight and share my super exciting news! we are selling our home and the pink studio too..
but, believe me... it is all for the greater GOOD! one studio + one home = my dream house! since we are no longer "manufacturing" here at drooz... there are no more employees..and I just don't need the space of a whole farmhouse to work in alone.. so - let's shake it up a bit. SIMPLIFY. lately it is just me, some art supplies, and my computer. so let's GO! I'm game.. I can walk to work in my slippers again! they tend to be a bit blurry ( honestly .. I think each time we visit our new home I am shaking with excitement!) Tin ceilings, tile floors, arched doors & halls with 12" moldings, bedrooms with fireplaces, 12 foot ceilings, crystal chandeliers, enough space to fill a whole rainy day of hide-and-seek games, and history that just seeps from every nook & cranny! the curvy front stairs... the carriage house... brick and bay windows... can you say "dental molding"... ? look at the precious tiny balcony..(I have already warned the kids "DO NOT go out there!) the sun room - I'm pretty sure that once we live here this will be loving referred to as "the dog's room" .. I know they are going to love lounging the the sun! Welcome! Come on in! the AMAZING front double doors - they weigh a ton! but I'll keep you posted on updates and decorating ideas! 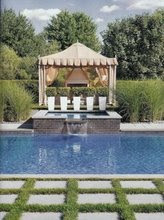 here's what I'm thinking about for the backyard - a nice salt water pool perched by the carriage house, some super tall boxwood bushes for a tad of privacy and a sweet cabana to enjoy the summer breeze..hey a girl can dream.. right? PS.. anyone want to buy an adorable pink studio? how about a wonderful family home the village of Skaneateles NY? I'm reading: new digs for drooz (shelly & family too)!! !Tweet this! Shelly The pictures of the new house are amazing! What fun it is going to be for you to work your magic! Okay those pictures are waaay better than the first one I saw. I love old homes - so adorable! You are going to be one busy lady decorating that new house, I am guessing you can't wait to get started. I'm jealous with envy. LOL Seriously congratulations. You've worked hard and deserve your dream home. 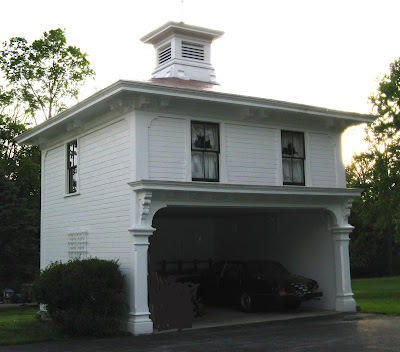 I absolutely LOVE the carriage house that's been turned into a garage. It's so sheek (sp?)! Breathtaking! Its plain to see why waiting would be difficult. I love the "idea" entry its one of my favs too. I cannot wait to see what you dream.